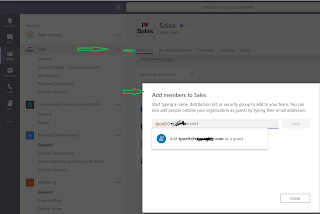 If you want Teams Call Queues to operate an unique outbound call number, meaning call queue members should not expose the personal LineUri (Phone Number), you need to define a new Calling Line Identity. Therefore, you will first setup the Call Queue and than a new Line Identity. This Identity you must grant as Policy explicit to the call queue identity. Now, if an agent initiate an outbound call, the calling ID displayed for the with be the new call queue number instead of his personal LineURI. Are you aware of this important feature? 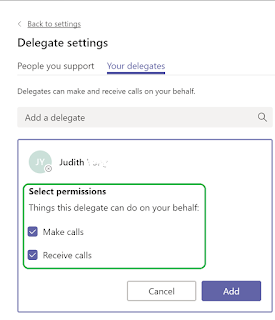 You can now configure different permissions for your delegates in Microsoft Teams. You can set Make and Receive Calls on a per user basis. For an example: Your personal assistant can make and receive calls on behalf, but like a workmate might only be able to receive calls only. 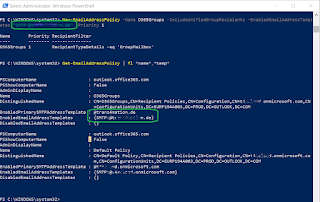 Another option would be, if you don't want to us a call queue, you could configure a user with delegates making calls on behalf of an e.g. Call Agent but will not be able to be called back. Navigate to the User Settings / General section and click "Manage Delegates". 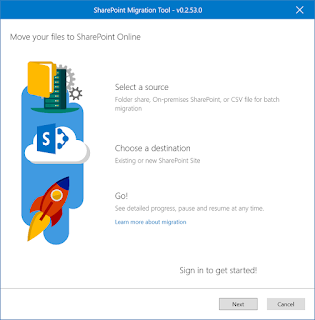 https://aka.ms/cqsettingspoints to Agents' personal User Settings page in Office 365, Agents need to be logged into their accounts in order to access it. If the Agents are not logged in, they will be redirected to the login portal before they can access their User Settings page.